Just a quick note to let you know of a great Latino networking event happening at the Chicago Symphony Orchestra tomorrow starting at 6:30 pm. 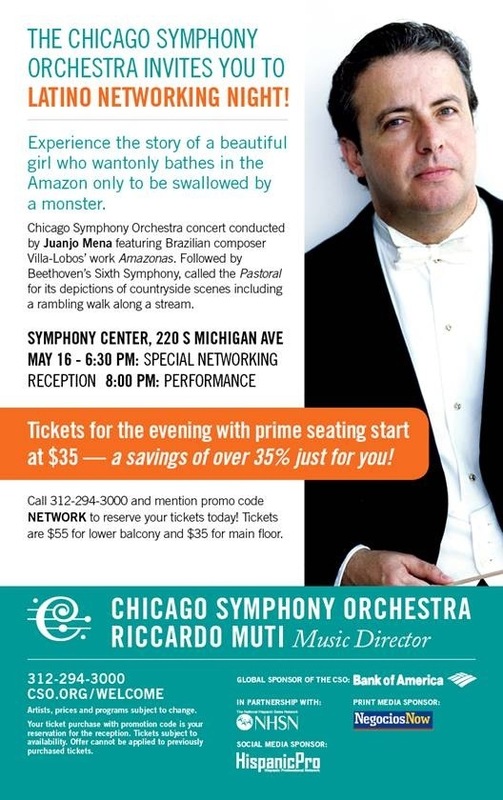 It includes a performance by conductor Jose Mena featuring Brazilian composer Villa-Lobos work titled Amazonas, the story of a beautiful girl who bathes in the Amazon river only to be swallowed by a monster. Prime seating starts at $35. 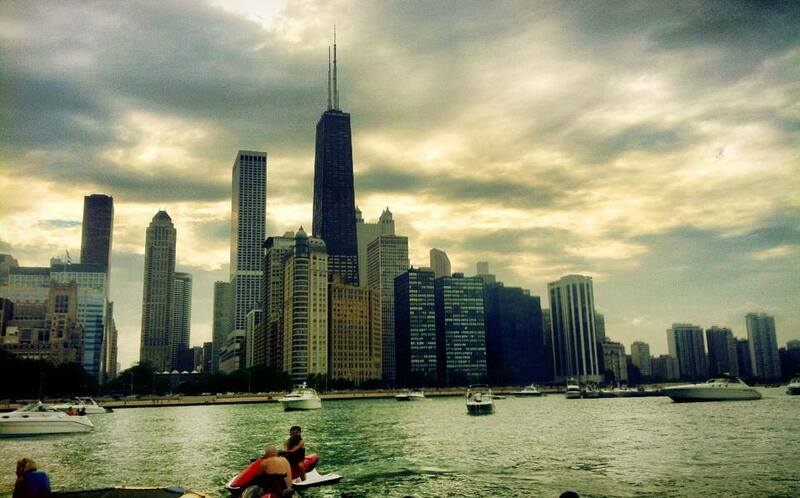 Call 312-294-300 and mention the promo code NETWORK. Previous PostPrevious This Saturday: 80s and 90s Party of the Americas!